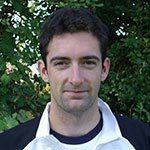 Tom joined the coaching team at West Worthing on a full time basis in June 2007 and took on the Director of Coaching role in 2017. Tom has represented Great Britain at every age group and travelled extensively across the world competing in both junior and senior events as as teenager. Notable highlights of Tom’s playing career include winning a Gold Medal at the U18 Commonwealth Games, becoming National Junior Doubles champion in 2002 and twice reaching the semi finals of the boy’s doubles at the Australian Open. Tom has competed at three of the four junior Grand Slam events and achieved a career best ITF Under 18 world ranking of 45 in singles and 4 in doubles in April 2002. Tom is a level 4 senior performance coach and is the captain of the Sussex Men’s team. 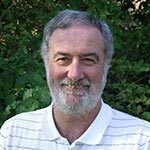 Jonathan is qualified as a Master Performance Coach and under his guidance, numerous pupils have competed in various National Championships, with several progressing to Men’s and Ladies’ world rankings. Jonathan’s son, Tom, played internationally as a junior from the age of 10 and competed in Grand Slam Junior Events worldwide. Jonathan achieved an ITF world ranking of 40 in singles and 4 in doubles. 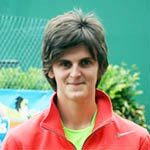 Svetlana (Lana) joined the Club in April 2009 and is an LTA level 3 tennis coach. She learnt to play tennis in Belarus and competed internationally in the USSR winning many events. Lana graduated from the Belarusian State University of Sport with a degree in Professional Tennis Coaching. 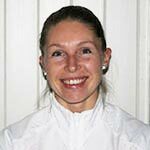 She has more than eight years of experience in training top juniors from Belarus and other CIS countries. Simon joined the club in April 2012. Simon learned to play at Angmering on Sea and has played tennis since the age of six. Simon is an LTA Accredited Level 3 coach. Simon runs the Club’s schools programme, the after schools clubs and the mini tennis coaching sessions on Sunday mornings. Lessons with Simon can be booked through the Pro Shop. Ryan joined the coaching team in 2018 having been a member of the club since 2014. He learned to play tennis at Field Place and has played since the age of 11. Ryan can be regularly seen in local schools running some of our popular After School Tennis clubs. He is also a captain of one of our men’s teams and a regular hitting partner for some of our performance tennis players. 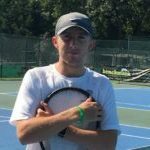 Ryan is an LTA Accredited Level 2 Coach. He also coordinates the club’s extensive LTA approved competition programme and various junior and adult teams. Individual coaching for all ages and abilities can be booked through the Pro Shop by phone 01903 505933 or email tenniscoaching@wwc.org.uk.